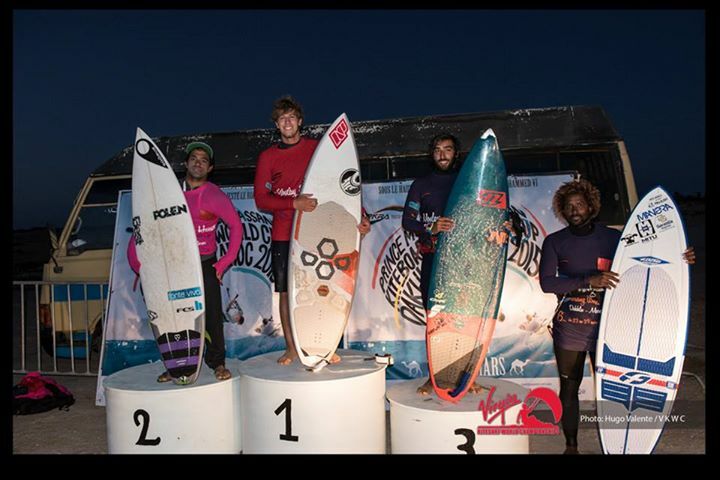 Keahi’s injury riddled 2014 is now firmly behind him with a first up success in the revamped PKRA, now the Virgin Kite World Championship. We caught up with him between flights to get his thoughts on the event, winning and the direction of wave events in the future. FKM: Congrats on the result, how’d it feel to come straight back to the top of the podium after the injury layoff? How were the conditions and to competition for the first event of the season? Keahi: It feels great to be back on top! Last year was tough for me with all the down time so to come back with another win feels amazing and we were lucky enough to score some amazing conditions for the event this year. Although we had a to pack the competition into a small amount of time doing combined heats to finish in one day, it was totally worth it. We had perfect glassy head high waves running down the point with side to side off wind. Some waves you could link together 10-15 turns so it really doesn’t get too much better then that! FKM: There’s a lot of well documented changes happening on the world tour. From your perspective, as a (surf) competitor, what does it all mean? Do you see this as a positive for the sport and athletes and what could be better? Keahi: There is still a long way to go but there are some cool changes starting to happen. With the new sponsorship from virgin and the new owners of the tour, I think as we move into the future we should see some good improvements. One thing that I think is going to be cool is the implementation of jumping into the events. Depending on how good the waves are, jumps now have an impact on your overall score which should make things much more exciting. Because the waves were so good here and the wind was a little light, we started off with a small multiplying factor of 0.25 for jumps and then eventually had 0 for jumps towards the end of the comp. That meant if you got a 10 for a jumping trick, this would count in your score as a 2.5. If we have events in average waves this will be much higher and I think its a great way to make events more exciting and add another element. It also really opens up the options of having events in more places. FKM: From what i can see on the highlights video the contest was entirely hooked in, what’s your take on the hooked/unhooked discussion? 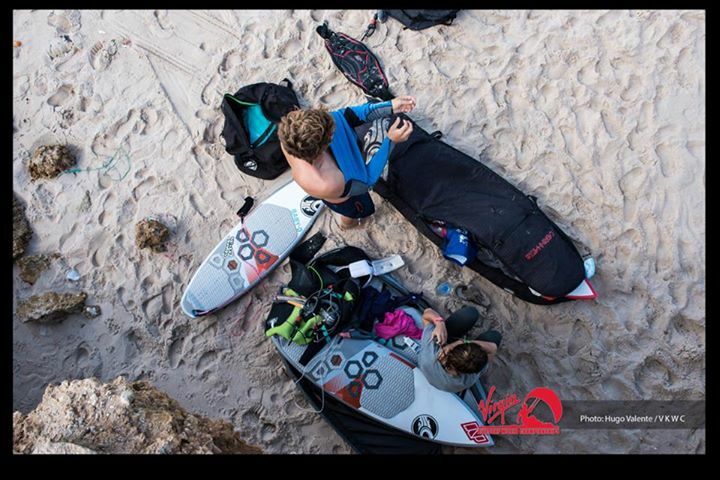 Do you think there’s a place or even benefit to unhooking in kitesurf contests? Keahi: I think its all about personal preference. If you ride better unhooked or just prefer riding unhooked then go for it but for me personally, I’d rather ride hooked in as it makes more sense most of the time. If you unhook you might be able to hit one section really well but you’re not making any use of the depower that kites offer these days and you’ll generally miss sections from going too fast down the line. In conditions like we have here it is definitely more limiting than beneficial with the slightly side-off wind. When you’re hooked in you can control your power much better. You can go into a section faster, hit it then depower the kite to come out of the turn rather then get dragged through it sometimes. 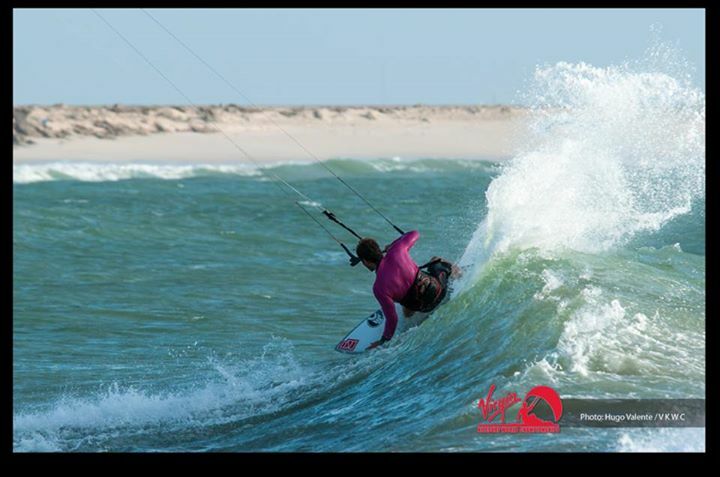 People used to complain that riding hooked in made it a little stiff when riding waves but I think with how much kites have improved these days this has changed. I still like to unhook for certain turns or maneuvers but for the most part riding hooked in works better in a much wider range of conditions. FKM: We all saw Airton nailing a lot of unhooked and handle passed maneuvers in the waves at the Mambo, do you think less of these seen on the tour are determined by conditions or risk management in heats? Keahi: I think its a bit of both. Conditions make a massive difference when it comes to performing certain tricks so although it may be pretty doable in certain conditions its generally better to play it a little safer and save them till you have a couple good scores under your belt. I think we will definitely start to see more stuff like this in the future though. 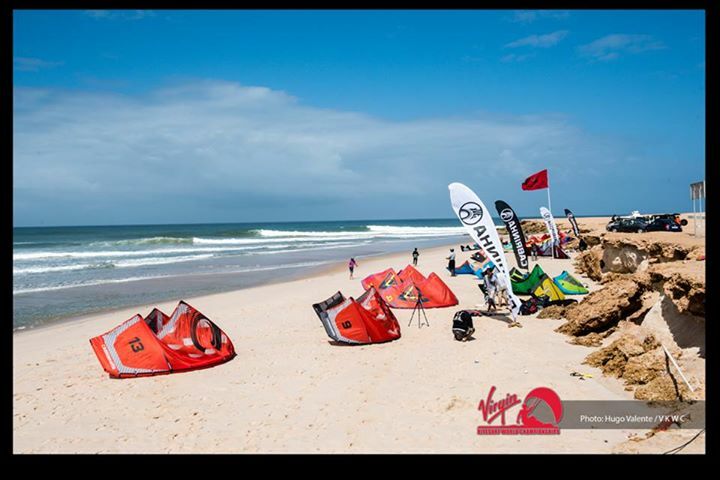 FKM: What’s your vision for contest kitesurfing in the coming years? Where do you expect it to end up? Keahi: I think with the implementation of jumping in competition this is going to really help it grow. It adds a whole new element to comps and I think it makes it much more exciting for spectators especially the ones who don’t understand wave riding as much. I think this will really open up locations for us because at the moment it can be pretty hard to find perfect waves that are consistent enough to run a contest. Not to mention that finding enough money in some of these spots is tough at best. At Least with this format, we should be able to go to places with more money and make the most out of less perfect conditions. FKM: Finally, what’s your plans for the rest of the season? Keep trophy hunting? Keahi: Yea thats the plan haha. At the moment it doesn’t really sound too positive for more surf events but hopefully this will change. If theres no more competitions again this year, then I guess that means I’m world champion again which isn’t a bad thing either. Other than that I’m hoping to do a few more strike missions to hopefully score some good wind and waves. I really hope we get the green light on some more events though.